Apple Inc. has hired Timothy Twerdahl, the former head of Amazon Fire TV, as VP of Apple TV. The hiring comes at a time when Apple TV is struggling to operate at a profit. Twerdahl replaces Pete Distad, who has now moved to Apple’s content team, run by Eddie Cue. According to his LinkedIn profile, Timothy Twerdahl, the former director and GM of Amazon's Fire TV unit since 2013, joined Apple this month. At Cupertino, he reports to Greg Joswiak, a vice president in charge of marketing for the iPhone. The new VP of Apple TV walks into a job where the streaming box that competes with the likes of Fire TV and Roku Ultra, is seeing a decline in sales. 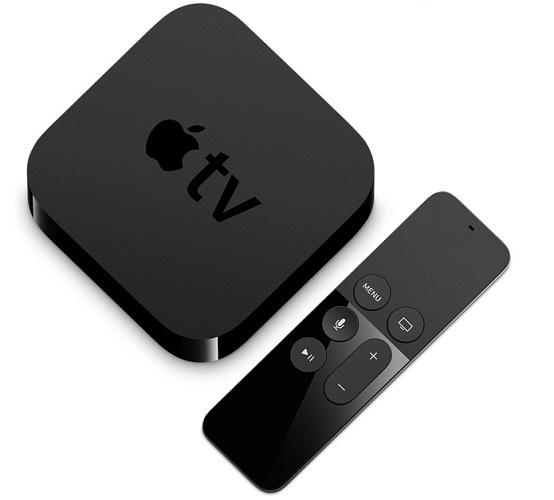 Currently, Apple TV is under the catchall category, which all covers accessories, dongles, and the Apple Watch. In its first quarter earnings report for fiscal 2017, the category was down 8%, and not because of the Apple Watch, which claimed record sales and revenue. In fact, Apple CFO Luca Maestri blamed Apple TV for the "other" category's decline in sales. Apple Inc. has seen a drop in Apple TV sales year-over-year. Moreover, the so-called ‘skinny bundle’ has not yet managed to claim much sales in the streaming box market as Roku, Microsoft’s Xbox or Amazon’s Fire TV. The Cupertino company is struggling to get deals done with media moguls and cable companies. Here’s why: some of these cable companies are not willing to give up control over the consumer to Apple. At Apple Inc., Twerdahl will be responsible for negotiating and closing lucrative deals with cable companies. Apple has been in the TV business for a long time now, and so far has only amounted to the Apple TV box. While the box keeps improving year after year, it’s still behind the competition from Amazon’s Fire TV. Amazon is yet to disclose Fire TV sales, but last May it called it the top-selling streaming media device in the U.S. Previous holder of the VP post, Pete Distad will now help lead Apple’s content deal efforts under the leadership of Eddy Cue. Apple Inc. poached Hulu executive Distad in 2013, to help forward stalling negotiations with cable companies. Timothy Twerdahl’s experience in internet-connected TV devices will most certainly help Apple strike fresh deals. Prior to his tenure at Amazon, he was an executive at Netflix Inc., and later a VP of consumer devices at Roku.